Green Barn accommodation on a working farm in the heart of Gladstone. 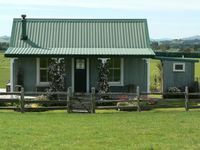 Property 1: Green Barn accommodation on a working farm in the heart of Gladstone. Property 2: Get away from it all! Watsons Cottage Rural 4 Kms from town centre. Property 30: Watsons Cottage Rural 4 Kms from town centre. Ever wanted to stay in a beautiful Character Home? Property 35: Ever wanted to stay in a beautiful Character Home? A-frame 5 minutes from the centre of Greytown - Country Village Heaven. Property 37: A-frame 5 minutes from the centre of Greytown - Country Village Heaven. Stunning private Cottage surrounded by farm land. Property 47: Stunning private Cottage surrounded by farm land. We&rsquo;ve loved the cottage and the surroundings. We&rsquo;ll definitely come back! 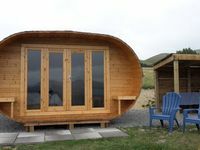 Nice and relaxing, great view, everything you need for a weekend away!